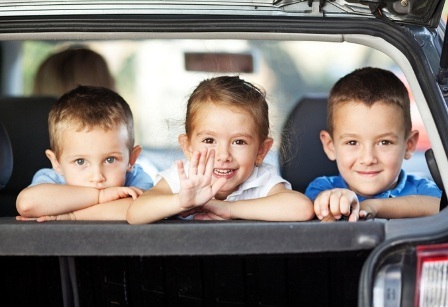 Travelling with children in tow can be an exercise in strategy, teamwork, planning and execution. It almost sounds more like Mission: Impossible than a vacation doesn’t it? If you don’t have any kids, you probably don’t have any idea what the heck I’m talking about (by the way, enjoy it while it lasts). Don’t believe me? Observe the species called parents. They’re the ones with the infant strapped to their body and maybe a child or two tugging on each hand. They’re the ones travelling with diapers and baby bottles in backpacks, and though sometimes it looks like they’re doing juggling acts, they’re also the ones who are having a great time. Though it can be difficult for families with toddlers and young kids to look for places that will be fun for everyone, it can be done, and such places do exist. Thus, here are some places in Metro Manila that I recommend to any parent travelling with a child. This is the first technology-based, interactive science center in the Philippines. 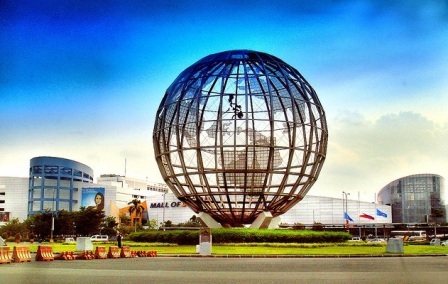 The whole facility takes up 3,000 square meters of the SM Mall of Asia Complex, which is acknowledged to be the 11th largest shopping mall in the world. It’s easy to spend a whole afternoon in this place, so plan on going after lunch. So many theme rooms and galleries are in the bi-level space which will appeal to kids and adults alike. You can leave an email message to your future self or to your friends via the Lifeclock. The Smart Media Center allows visitors to play installed computer games using GestureTek, which is a full-body motion-controlled game system. Older kids and adults will love Transportation Nation, which features the history and future of transportation. There’s also a display of transportation methods such as the Wheelsurf and SegwayPT. The whole family can enjoy a show at the Digistar Planetarium, powered by Digistar technology. You get to enjoy the 3D experience without the glasses, so all you have to do is sit back in a reclined position and watch the show on a 360 degree dome theater. Very cool. The center is open 7 days a week, though it’s best to go on the weekdays to avoid the mad crush of people during the weekends. Rates: $75- Special Promos for OFWs, good for 5 regular day passes with meals for 5 people. Promo is until Dec. 14, 2014. Regular rate is $11 per person for a whole day pass. Enchanted Kingdom is the Philippines’ only world-class theme park. Though technically not in Metro Manila, it’s only a 40-minute drive from the city. The park, often referred to as EK by the locals, is divided into zones. The Victoria Park takes you back to the Victorian era. This is where you can ride the Grand Carousel, and entertainers wearing turn of the century costumes can be found roaming around, adding to the charm of the venue. Midway Boardwalk is reminiscent of Coney Island, and is home to one of the most popular rides in the park, Anchor’s Away. The Jungle Outpost will bring to mind the wonders of the Amazon jungle, and the Spaceport has the famous triple loop roller coaster. More attractions have been added since EK opened in 1995, so plan on spending the whole day here. I guarantee you, it’s worth it. Rates: $11.00 for adults; $9.00 for kids. Separate fees for cabana rentals will apply, ranging from $15.00 to $112.00. What’s a family got to do to get away from the searing heat of Metro Manila? Manila can be very hot, especially from March to May. 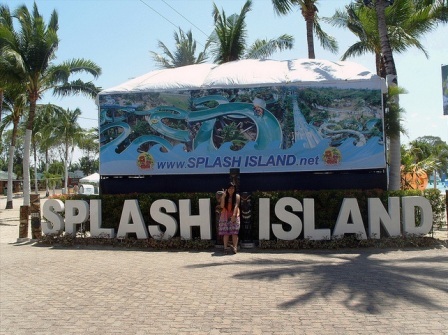 Fortunately, Splash Island is only 20 minutes away from the city. This water park is open every day, from 8AM to 6PM. Aside from water slides, a humongous pool with machine-generated waves, and other aqua attractions, there’s also a spa where you can get a soothing massage. There’s also a lot of food choices here, particularly the Dampa, where you can choose among the wide selection of sea food and have it cooked to your liking. You can also have an epic paintball fight with everybody at the Global Gutz station. Make sure that you’ve got the proper swimming attire and loads of sunscreen before you go here. This museum was especially designed with kids in mind. It’s open from Tuesdays to Saturdays, from 9AM to 5PM. They close for lunch break from 12 noon to 1PM, so you can take a walk or have lunch in one of the nearby dining establishments. Unlike traditional museums where artifacts are displayed behind glass shelves only to be admired but not touched, Museong Pambata features hands-on exhibits that encourage children to play and explore. There are different theme rooms at the Museo, such as the Old Manila room where you can experience the Manila of yesteryear. The Pamilihang Bayan is where children can pretend to be shop owners or customers where they can practice their skills in budgeting, selling, or haggling. Kids can learn about the human body by going through a tunnel maze that’s built to resemble the inside of a human body. 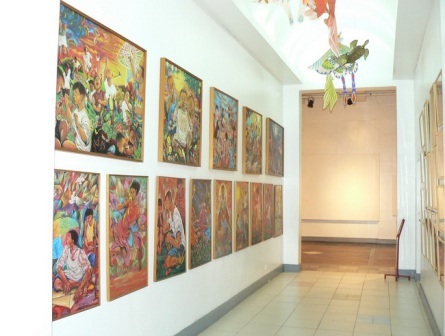 There are also special exhibits that feature the works of various Filipino artists. This month’s showcase includes interactive crochet art by Aze Ong and illustrations by 11-year old artist Lance Basilio. Rates: Depends on the number of attractions or shows that you wish to see, ranging from $12.00 to $20.00 per person. Manila Ocean Park is the Philippines’ first and only world-class marine theme park and prime educational facility. This integrated urban resort features marine life attractions and an aqua-themed hotel where you and your family can stay in a room wherein one wall is made into a massive aquarium. It’s open every day and it features 13 different attractions. Among the most popular ones is the Oceanarium which is home to 14,000 different sea creatures, all indigenous to the Philippines and Southeast Asia. The main attraction is a 25-meter long, 220 degree curved walkway tunnel where you can have an amazing view of sea creatures swimming overhead as you walk through the tunnel. Another attraction called Trails to Antarctica brings you closer to the most mysterious continent in the world. Learn how penguins live in the Humboldt exhibit, and visit the Snow Village while you’re there (by the way, feel free to sing all the songs from the movie Frozen with your kids while you’re there—it’s the perfect setting for you to belt out “Let it Go”.). The sea lion show, All Star bird show and glass bottom boat ride are also very enjoyable for the little tykes. The onsite hotel, Hotel H2O, will suit all your accommodation needs should you feel like staying there for a night with the fishes. As this hotel is very in demand, it’s best to make reservations at least 2 weeks before your stay. To enjoy your stay in Manila with the kids, be sure to visit any of the locations listed above. Sure, you can always take them to the arcade or any of the indoor playgrounds in the malls, but for guaranteed fun for the whole family, make sure you check out one or two places on this list. Your stay in Manila will surely be something that everybody will cherish and have fond memories of for a long time.